The pilots’ unions has written to the management saying they won’t accept changes in monthly duty roster as they are already facing ‘stressful’ conditions, even as the national carrier, made debt-ridden through government policy, tries hard to keep afloat. 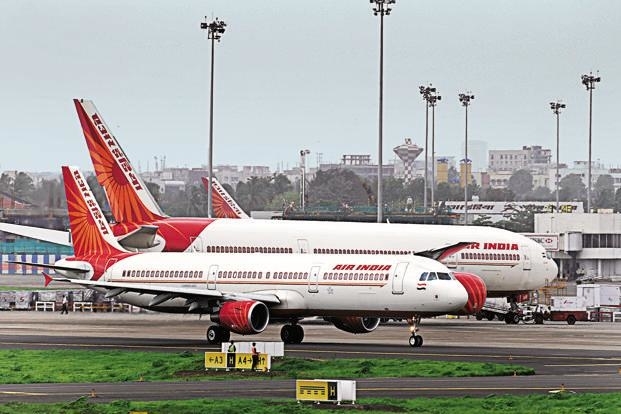 Two unions of Air India pilots, the Indian Commercial Pilots’ Association (ICPA) and Indian Pilots’ Guild (IPG), have written to the management on February 10, stating they are working under “stressful conditions” that has “direct implications on flight safety”, news agency PTI reported. As a result, the unions have decided that they would not accept “changes in (duty) roster and will maintain CMS (crew management system) printed roster already issued for the month of February”. The monthly duty roster usually needs to be changed at the last minute if and when a flight crew member does not show up due to a variety of reasons, including health issues. “In such an eventuality, an employee on standby has to be called in as a replacement,” as the report said. In an earlier letter dated February 3, 2019, to the Air India management, the unions had written that if the flying allowance, which amounts to nearly 70% of their total pay — AI pilots get paid from Rs 1 lakh to even upward of Rs 5 lakh monthly — was not paid by February 10, 2019, then they would not accept any changes in the February roster. After Air India was deliberately dunked into debt and made sick by the previous Congress-led United Progressive Alliance (UPA) regime, it has consistently been in a situation of dire straits. AI has a debt burden of nearly Rs 55,000 crore — thanks mainly to the excessive number of aircraft bought under civil aviation minister Praful Patel during UPA-I; the merging of international carrier Air India with the public-sector and country’s largest domestic airline, Indian Airlines; and giving away of the most lucrative international routes and slots to private carriers. On March 28, 2018, the Narendra Modi government announced sale of 76% equity stake in Air India (AI) held by the Government of India, along with its 100% equity stake in AI’s subsidiary Air India Express Limited as well as the 50% equity stake in joint venture AISATS. Most importantly, desperate to sell off Air India, the government was ready to bear 50% of AI’s debt, but even that did not attract any Expressions of Interests (EoI) from private players, who were playing hard ball and wanted the government to take on all of the debt. Once the undisputed market leader, Air India has been trying hard to keep afloat despite these attacks, on a Rs 30,0231-crore bailout package given by the previous UPA government. In a stressed industry environment, including high fuel prices, where even all the private airlines have been making losses (thus belying the neoliberal argument that privatisation equates to efficiency), Air India has still been making operational profits for the past three years and has never defaulted on its loan repayment. And the airlines has also not skyrocketed its fares, while still attending to the more remote and less profitable routes that the private airlines wouldn’t touch. However, the salaries of the staff are regularly getting delayed. The airline has more than 27,000 employees. The Indian Commercial Pilots’ Association (ICPA) represents the pilots who fly Air India’s narrow-body aircraft while the Indian Pilots’ Guild (IPG) represents pilots who fly its wide-body aircraft. After the Modi government failed to find buyers for the national carrier, it announced a sham revival plan with a few measly financial measures and more ‘autonomy’ on the condition that AI does not ask for financial support after 2018-19, which is farcical. Meanwhile, the government is going ahead the process of selling off Air India’s subsidiary, Air India Transport Services Limited, while planning to shut down another subsidiary, the Hotel Corporation of India.